Binoculars are used for a variety of outdoors activities. 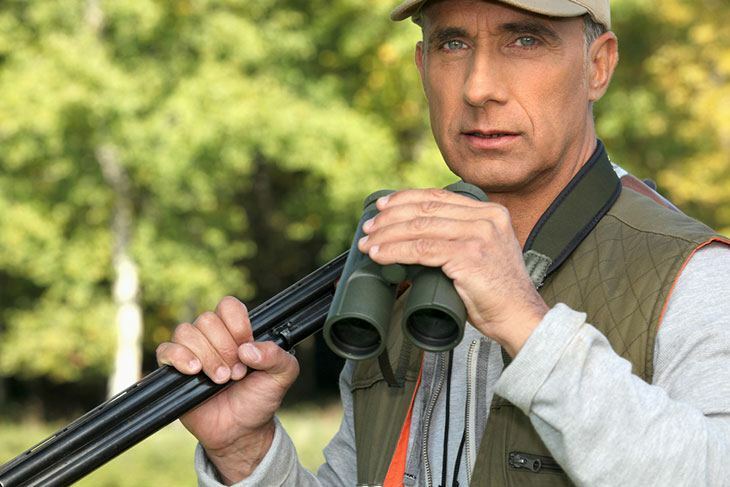 From bird-watching to sport hunting, binoculars are an integral piece of equipment for outdoor enthusiasts. However, as any piece of specialized equipment, they require proper care and storage. Most quality binoculars cost a tidy sum. So you want to be sure that your binoculars are safe when you are outdoors. This means keeping the binoculars secure not only when you are using them but also when they are not in use. There are a variety of ways to securely carry binoculars, and the particular method for an individual varies from person to person. However, here are some important things to consider. How often are you going to use the binoculars? Do you expect to use them in emergency situations or are you going to use them rather calmly? These and similar questions also determine the way in which you should carry the binoculars. For instance, if you are going to use the binoculars in emergency situations, you need a carry method that provides quick access. If you don’t expect to use it as an urgent go-to piece of equipment, you can go with a method which allows slower access but is more study. So your expected use greatly defines the right method of carrying the binoculars. The weight of the binoculars is an important factor when it comes to finding the right carry method. A light-weight pair of binoculars, for instance, can be traditionally worn around the neck but the same may not be possible for a pair which is significantly heavy. 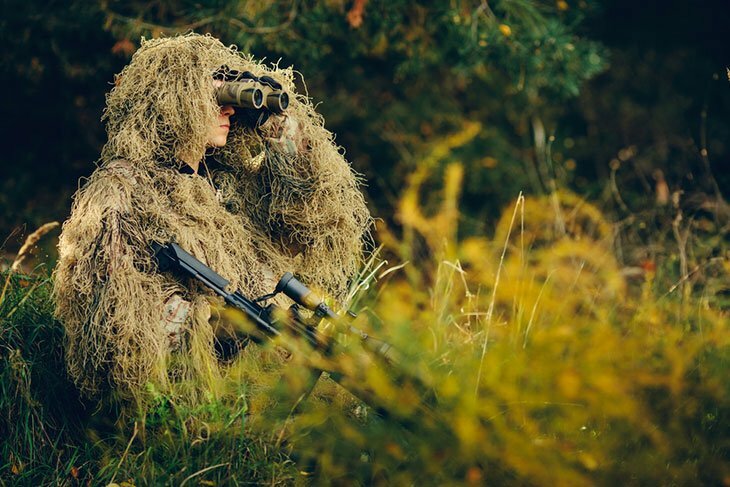 Similarly, a heavier model of binoculars may need to be carried in such a way that it can also be stored or secure when crawling or passing through bushes. So the weight factor has to be considered while you decide a suitable carry method. The climate conditions in which you venture outdoor greatly determine the way in which you carry your gear. In winters, for instance, you can stow away pieces of the gear you carry in pockets but the summers may not afford such an opportunity. When it comes to binoculars, you can easily wear one around your neck during the winters. This is because the coat, vest or other upper garments you wear in winters offer additional padding. This makes it easier to bear the weight of the binoculars on your shoulders. In summers, no such upper garments are warranted by the weather. So wearing binoculars around your neck may turn out to be a huge hassle during summers. There are several popular and standard ways of carrying binoculars. Again, these depend on the expected use, weight, climate conditions and other factors. Here’s the low-down on these popular carry methods. This is one of the most convenient, inexpensive and easy methods of carrying a binoculars. This is the way to go if you are going to use the binoculars at ease. 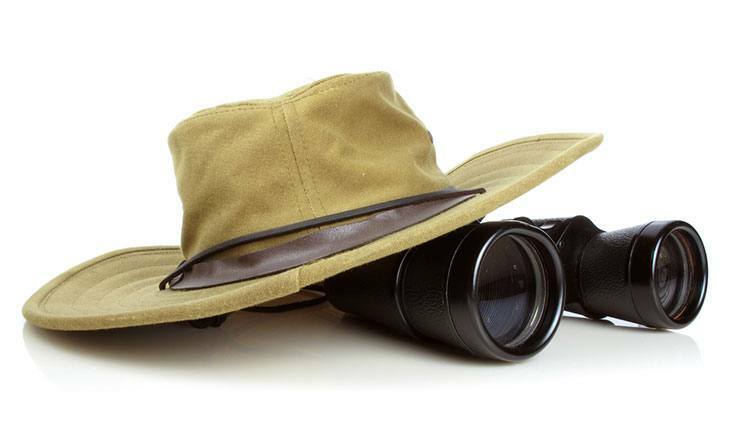 The safari carry method involves carrying the binoculars at your side by looping a strap over one of the shoulders and attaching the binoculars at the end of the strap. You can use a wide range of materials to create the strap, although leather is a preferable option because of the durability and strength. The great thing about the safari carry method is its flexibility. In standard position, it puts the binoculars at your side so that you can easily access them. But when you are on the ground or passing through bushes, you can easily slide the binoculars towards your back to save them from damage. This method of carrying the binoculars is for the professional bird-watchers, hunters or the like. The harness equipment essentially places two straps around your shoulders. The binoculars are then attached to these straps so that in standard position, the binoculars rest against your chest. When you lift up the binoculars, the elastic straps are slightly stretched, exerting a slight pull on the binoculars. This is great if you want to add extra stability to your binocular view. The professional harness carry method is great if you want quick access to binoculars and intend to use them professionally. The downside is that this method puts a considerable strain on your shoulders. At the same time, it may not be the best way to carry heavier models. Also, when you are crawling or on the ground, you can’t slide or reposition the binoculars behind your back, like you can with the safari carry method. This is a rather creative method used to carry binoculars around the neck in a traditional way, but with a twist. In the Back String Method, you attach the strap around your beck with a string. The string attaches to the strap behind your neck at one end, and to the belt in your trousers at the other end. The beauty of this method of carrying binoculars is that it lets you carry binoculars around your neck without bearing the weight on your shoulders. Instead, much of the weight is distributed through the string to the belt, letting you carry the binoculars with greater ease. This is a particularly good option for carrying heavier binoculars. The classic method is simply to wear the binoculars around your neck with a simple strap. You can creatively modify the strap to bring some flexibility to this method of carrying. But even without any embellishments, the Classic Carry method has numerous advantages. For one, it requires no specialized equipment or material which makes it the most inexpensive ways of carrying binoculars. Also, it affords quick access to the binoculars as they hang from a strap in your front. Finally, you can tug the binoculars into your coat or vest when going through rough terrain. So the method also lets you quickly and securely store the binoculars when required.